The 20th webinar of the European Rewilding Network saw members discuss the future of European rivers. Taking place in late October, the twentieth webinar of Rewilding Europe’s European Rewilding Network (ERN) focused on river restoration. The 17 participants from seven European countries shared their insight and experience on various topics, including dam removal, the restoration of freshwater ecosystems, rewilding rivers, fish migration and community engagement. 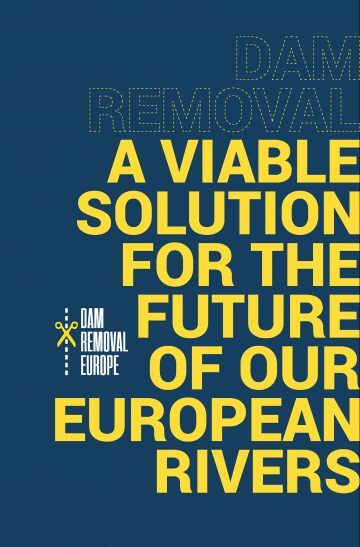 The Dam Removal Europe report: A viable solution for the future of our European Rivers. Rivers are our lifelines, but the majority suffer from human interference in their natural flow. In Europe it is estimated that there is almost one barrier for every kilometre of river. While tens of thousands of these barriers are obsolete, they still block fish migration, impede sediment and nutrient flow, and reduce the value of rivers to both people and nature. Collaboration on the freeing up of European rivers is essential, because it can result in better fisheries, flood protection, water quality and opportunities for recreation, as well as supporting the return of wild nature. Dam Removal Europe (DRE) is a coalition of five organisations: WWF, the World Fish Migration Foundation, the European Rivers Network, The Rivers Trust and Rewilding Europe. It is working to restore rivers on a European-wide scale, bringing benefits to both nature and people. During the webinar, Jeroen van Herk and Iwan Hoving of Dam Removal Europe gave participants an appraisal of the current situation in Europe. They presented case studies involving dams that have already been removed, spoke about DRE’s future plans, and invited ERN members to join the dam removal movement. The removal of man-made structures along rivers can often appear expensive and impractical. However, dam removal is generally a cheaper option than either repairing and maintaining old dams indefinitely, or constructing fish passages, which only partially mitigate the effect of the barrier. In some rivers, the negative impact on livelihoods caused by a reduction in fish populations can be greater than the value of the power produced by hydropower dams. Removing dams can boost recreational opportunities downstream, improve water quality and revitalise fish stocks. 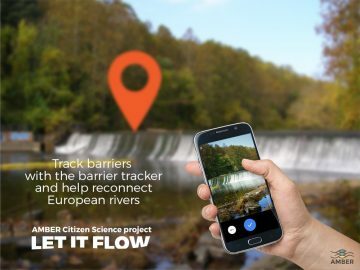 AMBER’s handy #LetItFlow app lets Europeans become citizen scientists as they help to map all of the barriers in European rivers. It is estimated that in France, Spain, Poland and the UK alone there are up to 30,000 obsolete dams. A study entitled Dam Removal: A viable solution for the future of our European Rivers, which was published in July this year, calls for governments across Europe to embark on the removal of such redundant structures, thereby breathing new life back into river systems and providing new economic opportunities for local economies. A comprehensive analysis on the total number of obsolete dams in Europe has yet to be completed. However, we can all now help to map them. The AMBER (Adaptive Management of Barriers in European Rivers) project works to apply adaptive management to the operation of European dams and barriers, boosting river connectivity and mitigating the impact of habitat fragmentation. AMBER’s handy #LetItFlow app lets Europeans become citizen scientists as they help to map all of the barriers in European rivers. The next speaker at the webinar was Artur Furdyna, a fish ecologist and specialist in river and wetland restoration, a member of the Oder Delta rewilding team, and a founder and CEO of the Friends of Ina and Gowienica Rivers Association. He began his presentation by discussing what the term “free river” actually means. 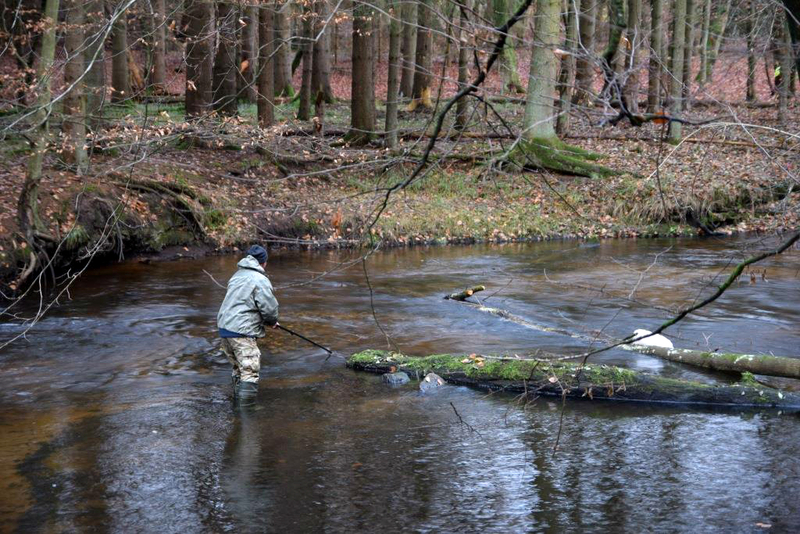 Rewilding Oder Delta team member Artur Furdyna has been safeguarding fish populations in Poland for over 20 years. The Gowienica river is one of the main tributaries of the lower Oder Delta on the Polish side, and forms part of the wider Oder Delta rewilding area. Rewilding efforts here have focused on protecting riverine ecology, limiting poaching pressure on wild fish, and encouraging a more sustainable water management system, consistent with the EU’s Water Framework Directive (WFD). 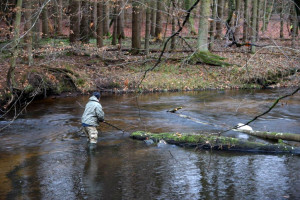 Furdyna provided information on the removal of riverine obstacles in the Oder Delta region, a process which is enabling fish to follow their natural migration routes once again. He also spoke about the importance of connectivity in riverine systems, and explained to webinar participants how plants can tell us more about the health of our freshwater than fish. The restoration of freshwater environments in Europe, of which river restoration is a fundamental part, is underpinned by EU legislative requirements. Under the terms of the EU’s WFD, European member states in the European Commission of 2000 agreed to achieve “good ecological status” in all water bodies by 2027. The implementation of the WFD, which began in 2000, has led to significant improvements in some European water ecosystems. But the WFD target of achieving healthy status for all of Europe’s waters by 2015 was missed by a long way, with only 50% currently estimated to be in good condition. Unsustainable agriculture, hydropower, flood defence and navigation are recognised as the main pressures preventing the objectives of the WFD from being fully realised. Habitat loss and degradation is a major barrier to biodiversity conservation and achieving the objectives of the Birds and Habitats Directives and the Water Framework Directive. 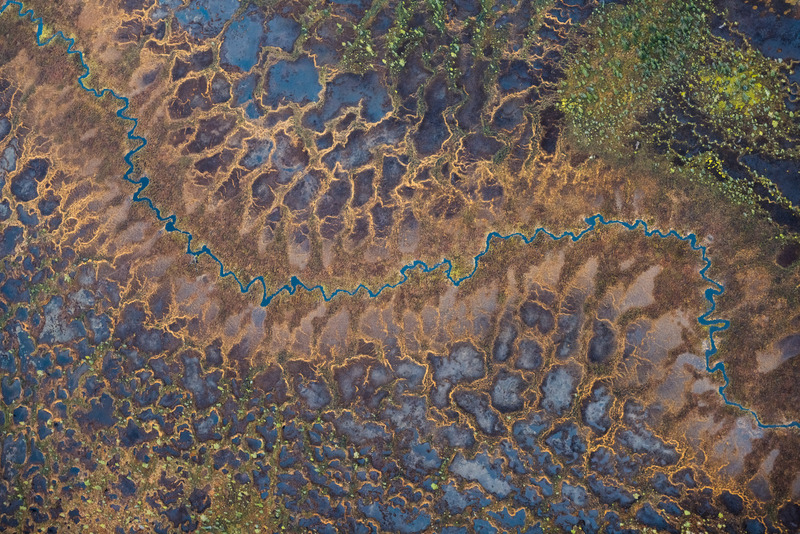 Restoring and maintaining large and inter-connected areas of high-quality habitat such as wetlands and floodplains is therefore vitally important to the conservation of European nature and securing sustainable supplies of freshwater. The WFD is currently undergoing its standard review in the form of a “fitness check” (every piece of EU legislation goes through this process). By clicking here, you can take part in the #ProtectWater campaign, telling the European Commission to uphold the EU Water Framework Directive. This will help to protect Europe’s rivers, lakes, groundwater and wetlands, and their wild nature, for generations to come. Click on this photo to take part in the #ProtectWater campaign, telling the European Commission to uphold the EU’s Water Framework Directive. Rewilding Europe regularly organises webinars for ERN members to discuss rewilding related topics and share insight and experience. Since it was launched in 2013, the network has shown impressive growth and now contains 66 members from 27 European countries (including Rewilding Europe’s eight operational areas). The ERN operates on a stronger together philosophy, promoting rewilding as a conservation approach. Through the year, members meet regularly via webinars to share knowledge, insight and examples of best practice. The presentations from webinars are stored on the ERN Forum, a real-time platform for discussions and exchange between members. Rewilding Europe extends a warm welcome to rewilding initiatives that are interested in joining the ERN. Information on applying for membership can be found here.